USDA's Agricultural Research Service (ARS) today released a new report on the role of pizza in American diets. ARS researcher Donna Rhodes and colleagues found that an astonishing 13% of the U.S. population consumed pizza on any given day, based on the most recent years of the National Health and Nutrition Examination Survey (NHANES). Pizza accounted for 25% (among kids) and 29% (among adults) of daily food energy intake. More than a quarter of all calorie intake was pizza. Pizza accounted for 33% (among kids) and 39% (among adults) of daily saturated fat intake. Compared with foods in general, pizza is much heavier in saturated fat. Pizza accounted for 33% (among kids) and 38% (among adults) of sodium intake. Compared with foods in general, pizza is much heavier in sodium. In recent years, USDA's dairy checkoff program has spent many millions of dollars to increase pizza consumption among U.S. children and adults. Using the federal government's taxation powers, the checkoff program collects a mandatory assessment of 15 cents on every hundredweight of milk that is sold for use as fluid milk or dairy products. 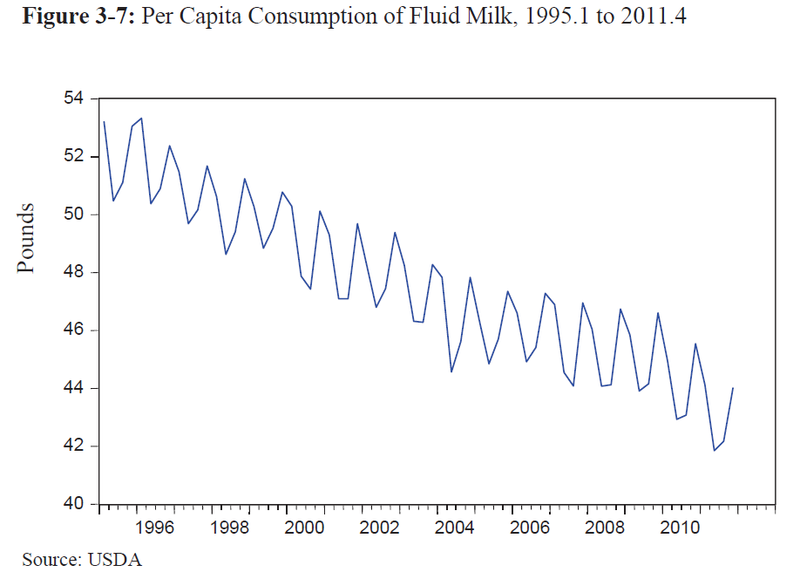 The total mandatory assessment in 2011 was $104 million for fluid milk and $98 million for other dairy products, according to the most recent annual USDA Report to Congress. These expenditures are many times greater than federal spending on promoting fruits and vegetables, whole grains, or any of the other foods for which the Dietary Guidelines recommend increased consumption. Each semi-governmental checkoff program is managed by a board of producers appointed by the Secretary of Agriculture, and all expenditures are approved by USDA's Agricultural Marketing Service (AMS). Much of the actual activity is carried out by Dairy Management Inc. (DMI), a dairy industry organization. The checkoff program goal is to provide increased economic demand for dairy producers. For every $1 that the checkoff program spends on increasing demand for fluid milk, farmers get $3.95 in increased revenue. 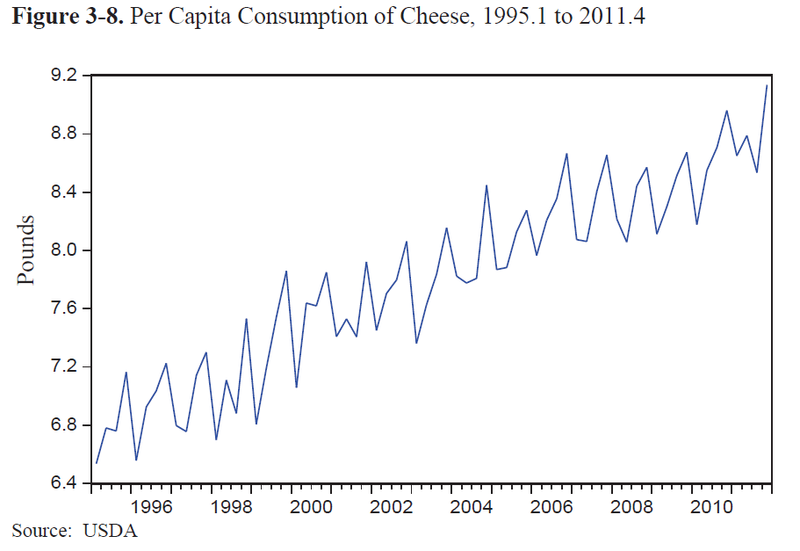 For every $1 that the checkoff program spends on increasing demand for cheese, farmers get $4.43 in increased revenue. On average, expenditures on marketing and cheese promotion were $12.0 million during the period. Owing to partnerships with the pizza industry, notably Domino’s Pizza, expenditures on cheese increased from the fourth quarter of 2008 to the end of 2011. DMI spent over $35 million over three years in partnership activities with Domino’s. The Domino's relationship accounted for nearly three-quarters of DMI’s overall promotion expenditures in the cheese category over the 2009 to 2011 period. The promotional activities with Domino’s included new product lines, use of more cheese than had been provided on similar items in the Domino's chain before the partnership, and the introduction of specialty cheeses into the company’s recipes. In short, the assistance of dairy dollars was instrumental in positively affecting the pizza category, a category that is very important to the dairy industry. Every dairy checkoff partnership must be approved by USDA. Every marketing message has official legal standing as "government speech" (because, otherwise, courts would see the mandatory assessment as a misuse of the federal government's taxation powers). The checkoff partnerships undermine USDA's standing as a credible voice in promoting dietary guidance for Americans, and they must be a terrible embarrassment for the many people at USDA who seek to promote healthful eating. Many Americans find pizza to be an enjoyable treat, but, from a nutritional perspective, it is a dreadful choice of major food staple. It is understandable that food companies may promote pizza with their own money, but it is a travesty that the federal government should contribute so heavily to this effort, while neglecting other important nutrition goals. Wow, thanks for that enlightenment, Park! I had no idea of the scope of this program before, or its partnership with Domino's. I wonder what the return on marketing is for yogurt -- although given the number of sugar-filled varieties on the shelves, it might not be much healthier to focus on. That's a good question about yogurt, but I didn't see the answer in the USDA report. It is tempting to suggest the federally supported part of industry marketing effort focus on milk and yogurt but not cheese and pizza. The industry could support cheese and pizza with its own voluntary producer donations. But, even the milk/yogurt marketing would require a conversation about sweetened milk and yogurt (lovely products, but they are desserts rather than part of a meal). The food policy of Hampton Creek's "Just Mayo"